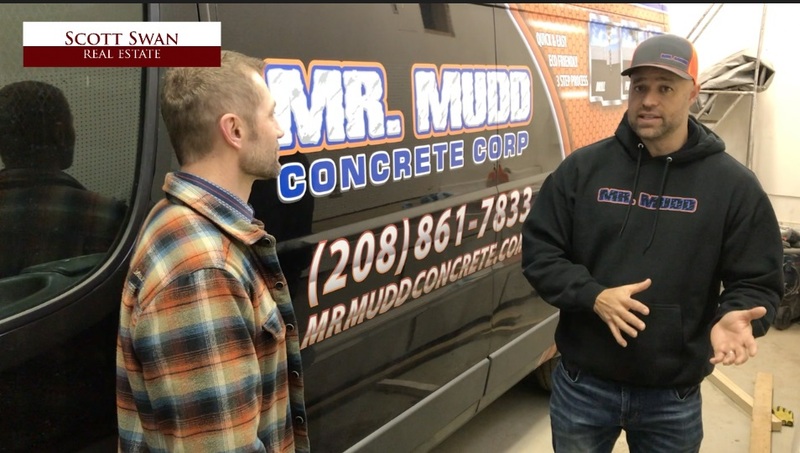 Meet Brian Wheeler, owner of Mr Mudd Concrete! He's going to tell us what to know when shopping for concrete service. We ask what he loves about where he lives and his favorite non-profit. We're a big fan of his quality work and how he always does the right thing for the customer! 1. Get a bid early in the season. The reputable companies have schedules that book up for a reason. 2. Mr. Mudd takes care of their customers. If you have someone that needs money BEFORE the pour, you are in danger of working with someone that likely won’t have the funds to fix something if they do it wrong. 3. Mr. Mudd enjoys listening to their clients needs and wants and helping them achieve beautiful custom concrete work… whether its for the new patio, RV pad, or 3rd bay driveway. They are the only company in the valley with volumetric mixers and use class 30 mudd— basically making the strongest concrete! Along with that, they always create a quality base to withstand the freeze/thaw cycles we have in the Treasure Valley. 4. Mr. Mudd has been in Garden City since his youth and loves the proximity to everything. He and his family like to ride the greenbelt together. Brian tells us about the non-profit RO 116 which helps local businesses pool their money for a greater cause-- to spread the gospel of Christ.